To play off our annual summer White Party, we thought having a black-themed event during the winter would be just as fun. 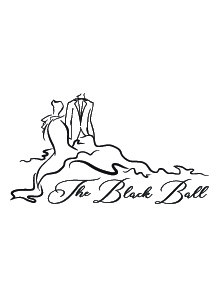 It's the perfect opportunity to show off that new black dress, or your favorite black custom suit...although a tux is still very much in play. Join us for a magical night of wine, music, mingling, and dancing - just what you would expect from attending a ball. We're featuring two options for attending this event. General Admission tickets get you into the event, while VIP tickets include two glasses of wine, some light bites, VIP parking, and baller status. It's your choice. Wines will be available for purchase by the glass at the event. We'll be featuring our Claret and Sauvignon Blanc, along with a special section featuring our Reserve Claret and Reserve Sauvignon Blanc. There will also be a selection of food options available for purchase at the event. Musical entertainment for the evening will feature local artist Geoffrey Castle to start off the evening, before shifting into a live DJ later in the evening. We're thrilled to be back to Thomas Family Farm in Snohomish for this event. The event will all be indoors. Hope you can join us!